Hello babes! I promised you a big Colourpop haul and here it is! 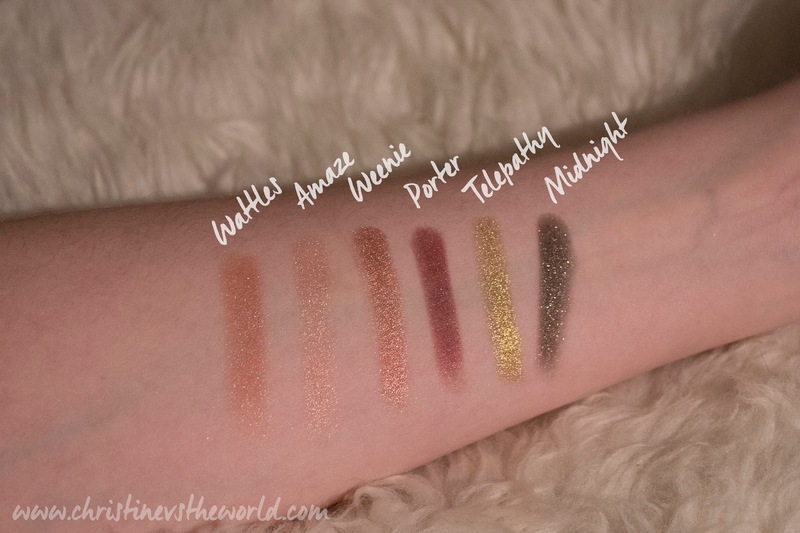 I just love Colourpop, they have so many colours, every kind of finish you want and it's affordable! They recently started shipping world wide so now everyone can buy it! 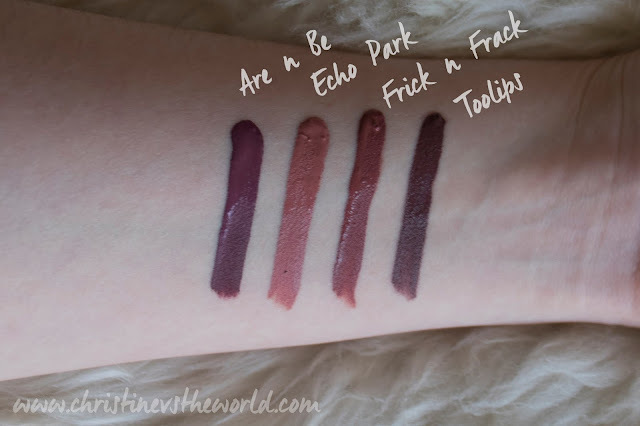 If you want to check out my last Colourpop haul you can do so here. The first thing I picked out is this Kathleenlights, Where the Night is quad, I absolutely adore Kathleenlights, I watch all of her videos and I feel like she loves a lot of the same products as I do. This colour combination is so beautiful, I love how these scream Autumn but can also be really pretty for a more summery look. I don't know if I would combine these colours but who knows it might be pretty. This shade is called Weenie, I also bought this one separately because I just love it so much and I didn't want to regret it and have to purchase another order from America. It's a shimmery, almost metallic copper or rose gold shade that can be amazing during the day or for an evening look. This shade is called Midnight, it's a dark green but mostly black shimmer shade with tiny glitters as well, but it's chunkier than Weenie and less metallic. I think this will look great with my brown eyes. This shade is Called Porter, it's almost matte but it does have some shimmery glitters, nothing too heavy. 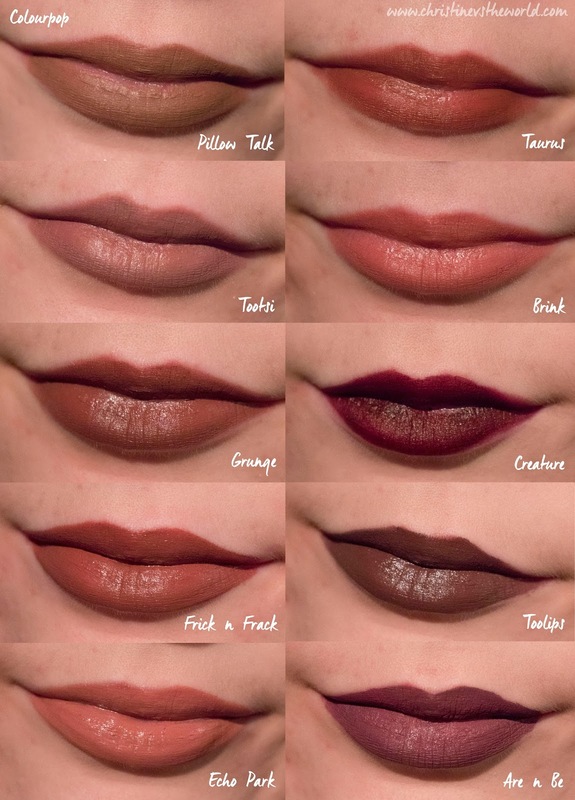 This truly is the perfect Autumn shade. This last shade is called Telepathy, it's a very bright yellowy colour that is quite metallic as well. This is out of my comfort zone but I'm definitely excited to play with it. Then I picked out these 3 mono's as well, these are more day to day colours and I intend to use them when I travel or for a quick daily look. These are great on their own or as a look topper if you want a little pop on your matte eye look. The shades I picked out are Weenie, Wattles and Amaze. Wattles is more satin and pink, almost a little peachy toned, it's beautiful in combination with Weenie as well. Amaze is a very shimmery, rosegold shade. The biggest part of this haul are of course: lip products! I hadn't ordered any Lippiestix or Pencils before and I tried some Ultra Satin Lip products as well as one more Ultra Matte Lip. I found the Ultra Matte Lips to be a little too drying on me so I chose mostly Lippiestix and Ultra Satin Lips this time. These are the three Ultra Satin Lips I got and the one Ultra Matte Lip. I got Toolips, Echo Park, Frick n' Frack and Are and Be. I also bought most of the corresponding lip pencils because I got some dark colours. The Satin version is more my thing, I don't like too much of a drying effect but these are still quite matte and last long! Then the Lippiestix! I had tried the formula before but I hadn't bought any myself. 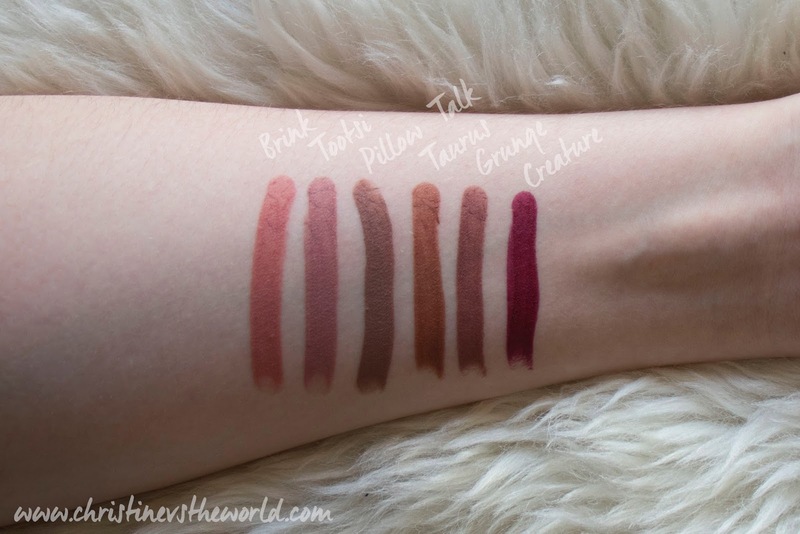 The colours I purchased from left to right: Brink, Taurus, Tootsi, Pillow Talk, Grunge and Creature. I really tried to pick out a complete range of colours for day to day wear, from more neutral to more bold, darker and brown colours. I want to step out of my comfort zone and wear colours I usually wouldn't wear! They are so creamy, soft, and beautiful on the lips. They apply evenly and aren't streaky at all! The only thing I don't like is that they don't cover the middle part of my lips very well, which isn't a problem in most shades but for some it doesn't look so great. 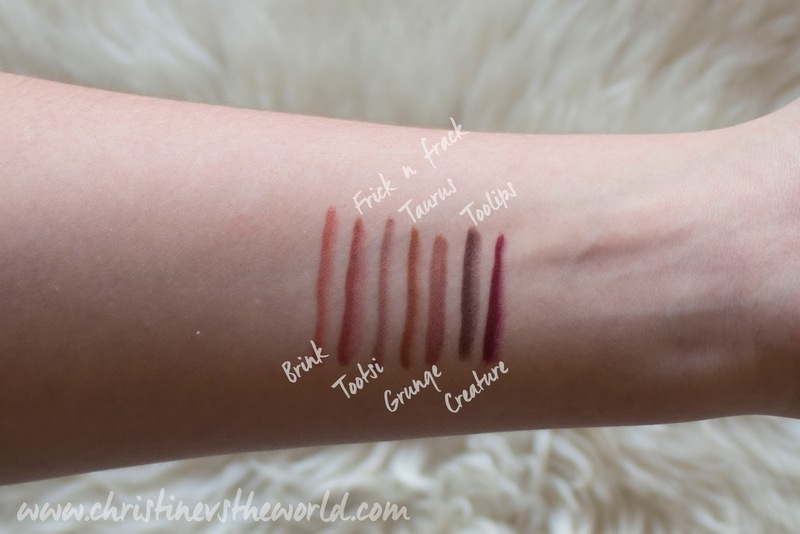 And of course, here are the matching lip pencils, not every colour had a lip pencil (in stock) but I got the darkest ones which are the most important to me, because they make it easier to create a clean look. They are very creamy, easy to work with and last quite long but not as long as MAC Pro Longwear Pencils for example. The only thing I don't like is that the caps keep falling off!! Creature, Toolips, Grunge, Taurus, Tootsi, Frick n' Frack and Brink. Are nd be is an amazing color! Gorgeous haul! I'm in love with the Kathleenlights quad, such pretty colours!